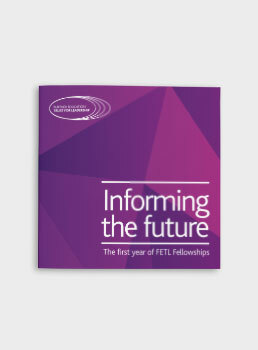 From its inception, the Further Education Trust for Leadership (FETL) has sought to cultivate an appetite for new, original and critical thinking; in itself, among its partners and in the sector more widely. 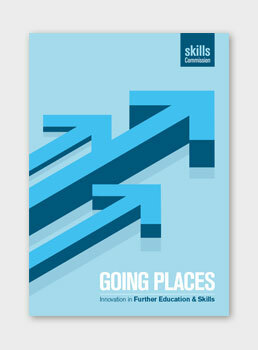 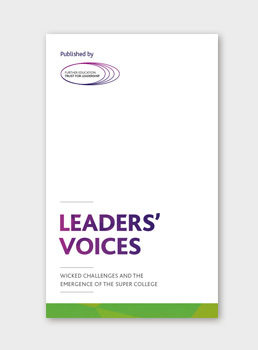 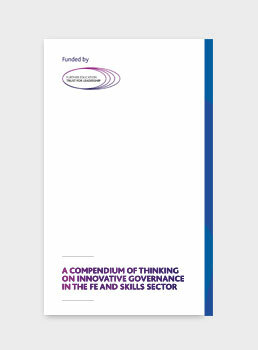 It was set up in order to stimulate leadership of thinking in the further education (FE) and skills sector and to create a space in which sector leaders and others could develop and share their ideas. 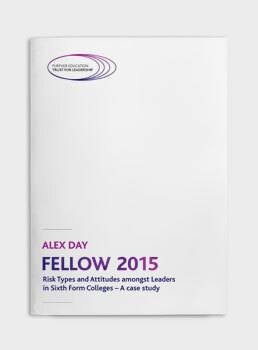 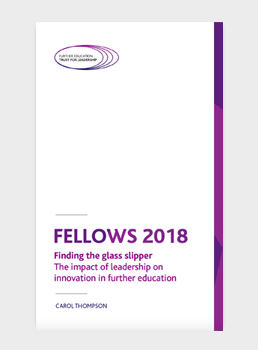 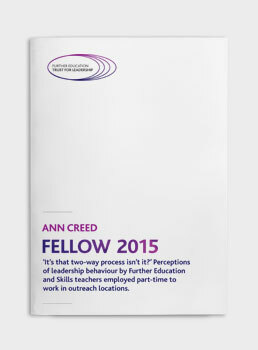 This report, by Paul Grainger, Co-Director and Director of Operations for the Centre for Post-14 Education and Work at University College London (UCL) Institute of Education, offers a stimulating overview and analysis of the work FETL undertook with its partners during 2016. 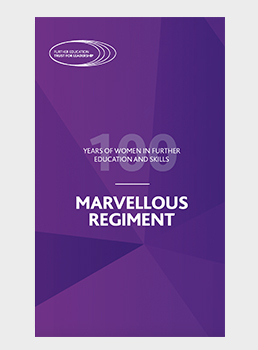 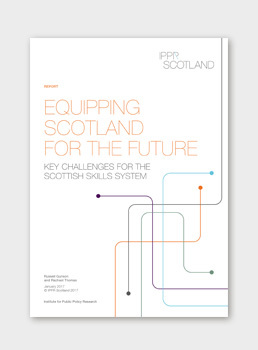 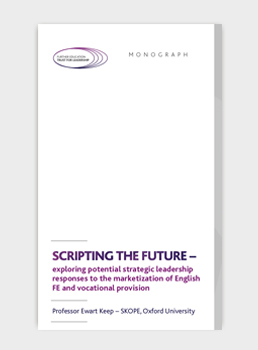 It shows an organisation willing to look deeply within and beyond FE and skills to generate the new thinking needed in a sector which seems perennially on the cusp of change but which, now more than ever, is facing a future that is uncertain and difficult to assess. 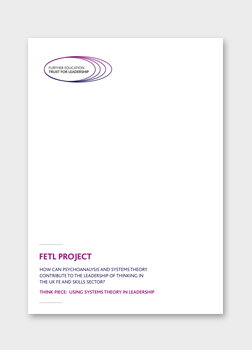 The willingness to move between disciplines and challenge boundaries is picked up by Paul Grainger as a key theme of FETL’s work over the period. 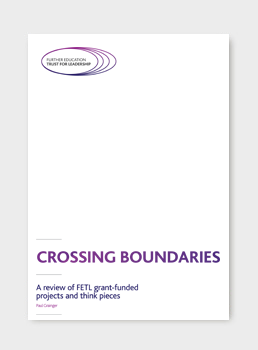 He is, of course, right to identify ‘crossing boundaries’ as an important dimension of the numerous projects we have sponsored over the last few years. 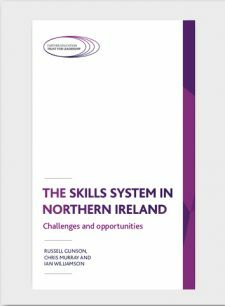 We have worked with colleagues from a range of different fields, from psychoanalysis and systems thinking to artificial intelligence and industrial development. 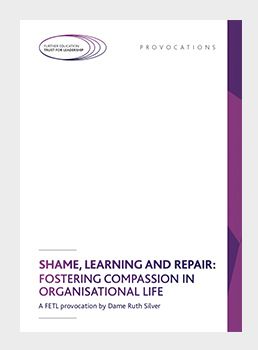 This is important in a sector which, if we are honest, has been largely content to talk to itself, understandably perhaps given the lack of comprehension frequently encountered in the corridors of Whitehall. Of course, it is important to listen to ideas from elsewhere. 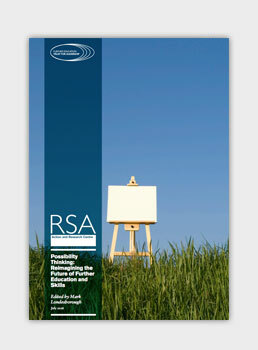 But it is just as important that we make our own contribution felt in the wider world. 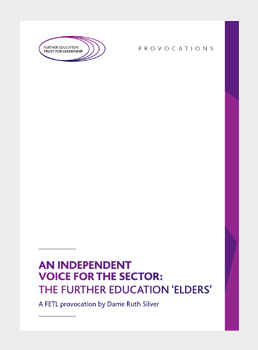 This, again, is addressed in Paul’s report, which describes a ‘skills eco-system’ with porous boundaries within which leaders engage in ‘collaborative stakeholder relationships’ and act in the wider interest of the ecology to which their institutions belong. 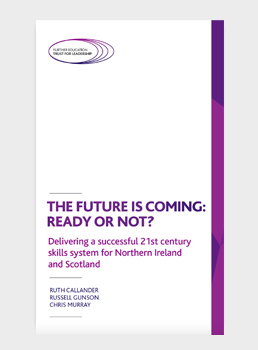 It is increasingly clear to me that the sector’s future can only be secured through wider and more imaginative collaboration, and the appreciation that we, as a sector, have much to offer as well as much to learn. 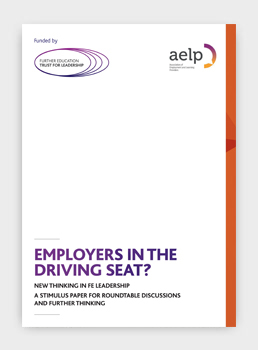 As ever, with FETL, the aim is to continue the conversation. 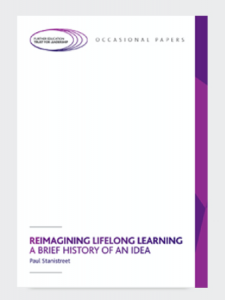 There is no point in having fresh ideas if they have no life beyond the page. 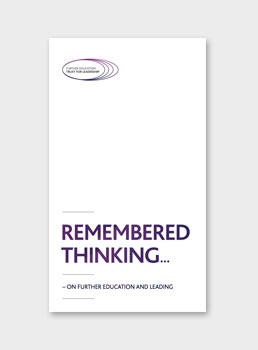 We are in the business not just of ideas but of engaging with them. 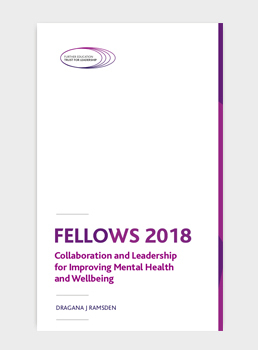 That is why, in addition to our project work and our fellowships, we also actively invite partners to work with us and create deliberative spaces in which ideas from different places can meet. 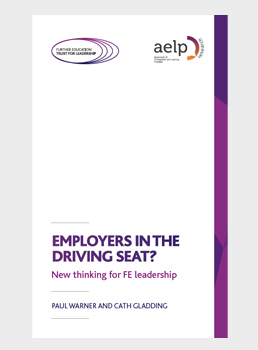 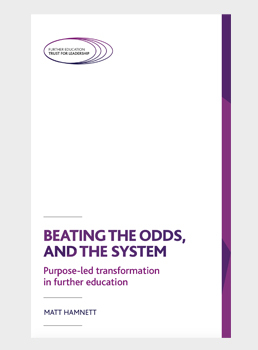 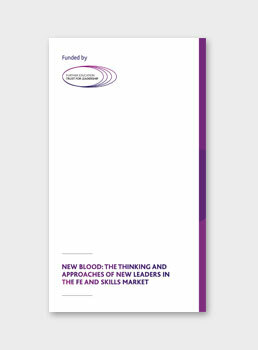 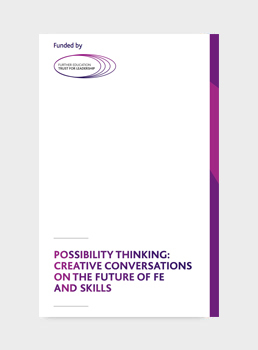 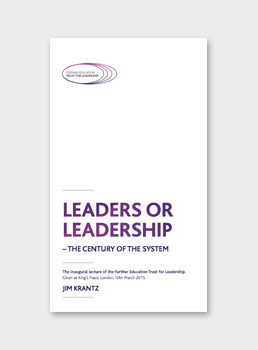 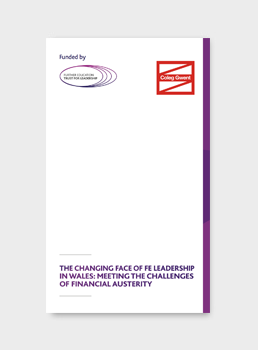 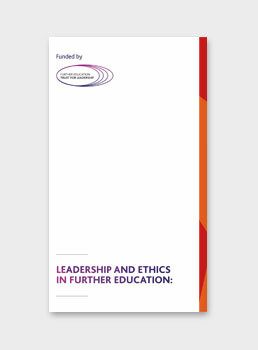 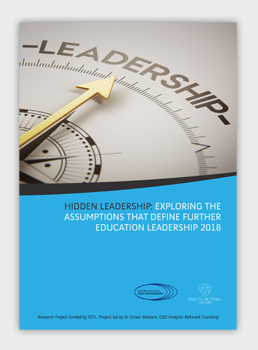 This report is a useful resource for FETL’s Board, offering an opportunity to think about what we want to do more of in the next few years, and what, perhaps, is of less value. 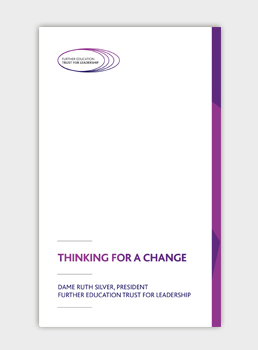 But it also gives readers a chance to respond, to tell us what we should be thinking about, what we might be missing and who we should be talking to. 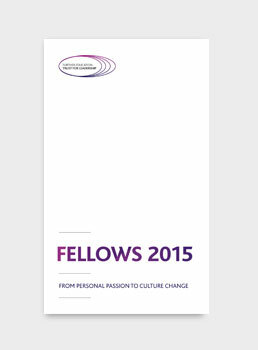 As with all our work, we conclude with an invitation: tell us what you think.